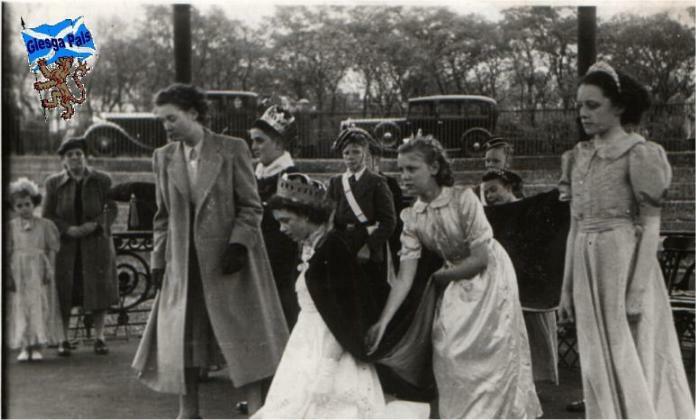 Various photographs from the GlescaPals archives. ..from 1914 was used as part of a calendar in 1985 by the People's Palace. Elspeth King, then a curator at the museum, thought that faces from the past would help us face the future. 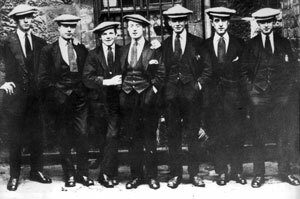 The 1914 date also begs the question; how many of these 'dapper dans' survived the horrors of the First World War to make it home to Bridgeton? 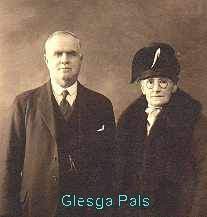 "Mr & Mrs Samuel Alexander who lived at 16 Franklin Street, Bridgeton till around 1950. Mr Alexander was a tram driver with Glasgow Corporation Transport."